They feel decadent, special, and yet are incredibly easy to make. 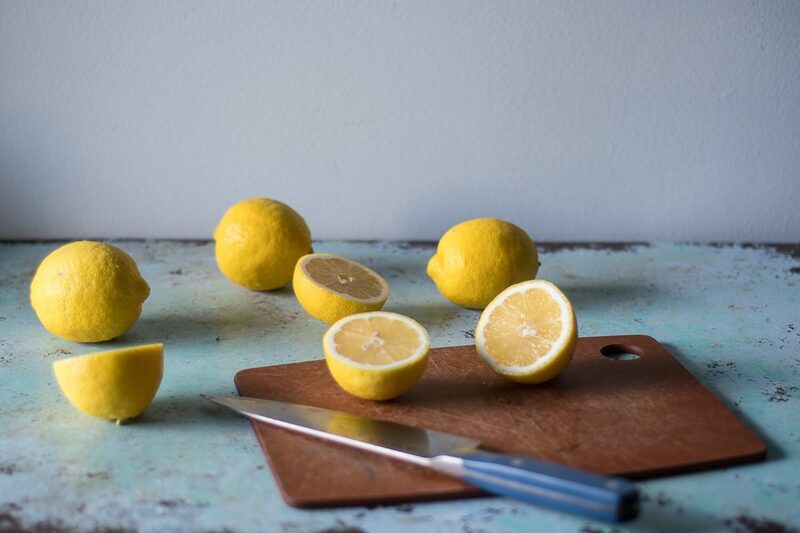 And there’s nothing wrong with classic lemon curd (or, uh, lemon bars like these). But it’s almost, somehow, May. And I’m ready to transition to spring flavors. 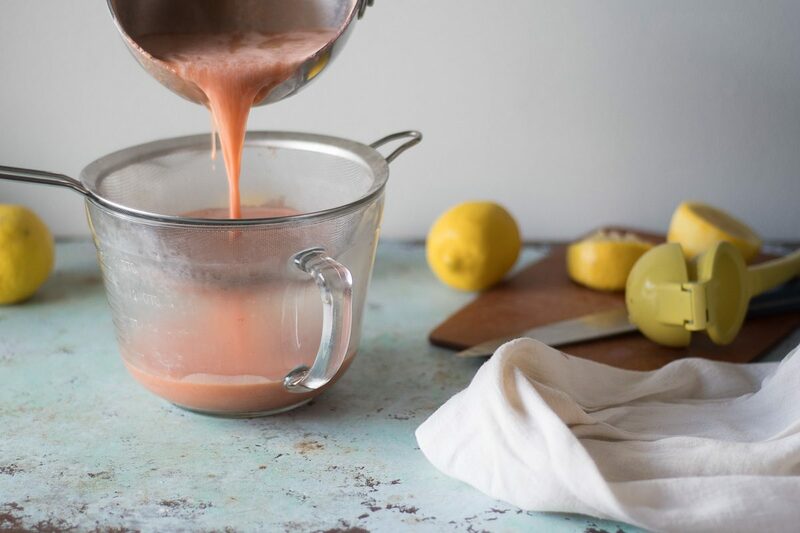 Which is where this strawberry lemon curd comes in. The first outdoor farmers markets don’t start until next week and local strawberries are probably still a good month or more away, so I’m relying on convenient frozen ones here. I’m not much, usually, for frozen strawberries. I mean I’ll throw them in a smoothie, but otherwise they’re one of the last frozen fruits I’m likely to reach for in general. Unlike, say, frozen blueberries, when baked they can go soggy enough to make a muffin sad. But they work beautifully here. 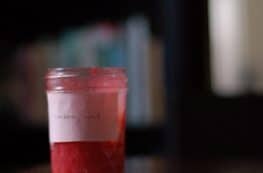 Their flavor is at least as good, if not better than the fresh berries shipped in from across the country or halfway around the world, because frozen fruits are frozen pretty darn near their peak ripeness, and they’re usually cheaper too. And the way they readily release their juices when heated is actually a benefit rather than an annoyance here. That said, if you have an abundance of fresh strawberries, they’ll absolutely work here. I love the combination of strawberries and lemon. 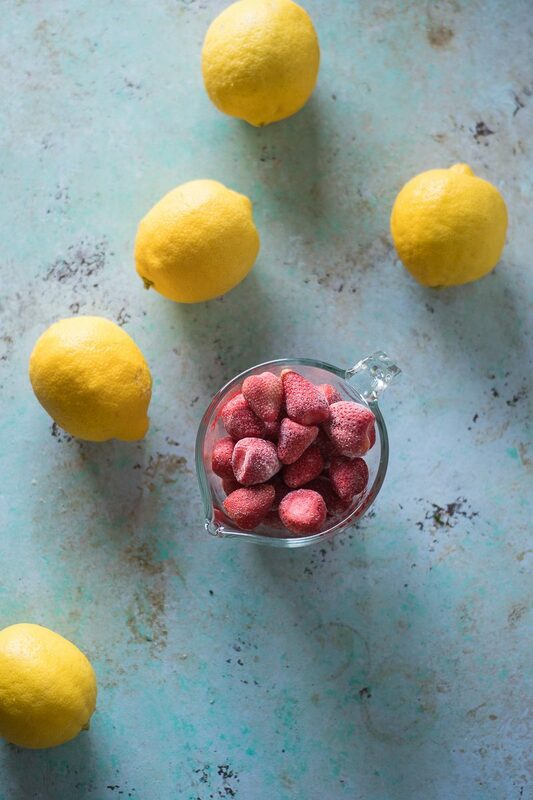 The sweetness of the strawberries and the bright acidity of the lemons play well together and they both play very well with butter and sugar and eggs. Here, the frozen strawberries take a bath in a little hot water and get simmered until they’re just soft. Then they go into a blender along with sugar, lemon juice and lemon zest. Then the eggs go in for a quick spin. Then everything goes back on the stove where it gets heated gently to 170°F, just to the point where the eggs are primed to give the curd a silky texture without overcooked egg bits getting in the way. Then it gets passed through a fine mesh strainer and poured into jars to rest in the refrigerator for a few hours until it sets up nicely. 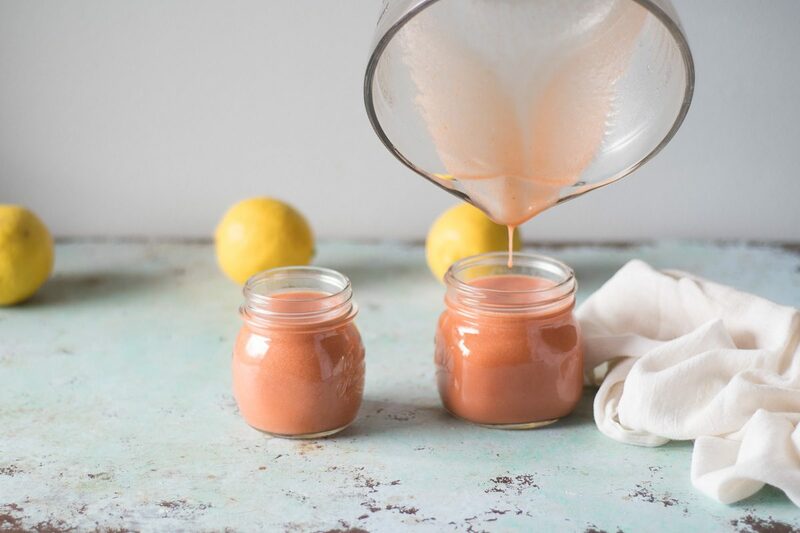 This strawberry lemon curd is, at its heart, still a lemon curd. While the strawberries make their presence known here, they’re support players. I almost think of this like a spreadable pink lemonade. 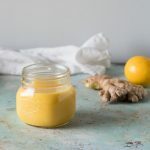 I love this stirred into plain yogurt or spread on a scone, and it would be delightful as an accompaniment to a lemon buttermilk cake. And really, it’s kinda the perfect shade of delicate spring pink. 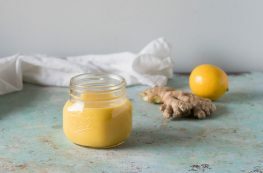 This curd is, at heart, a lemon curd. It's still tart and bright and acidic, but the sweetness of the strawberries bring their lovely berry flavor notes to the party. This is a rare case where I use frozen strawberries. Fresh strawberries will absolutely work if you have them (but you won't need to simmer them first, just skip straight to the blender part). It'll help to have an instant read thermometer (I like the ones from ThermoWorks), a citrus squeezer, a heavy-bottomed sauce pan or saucier, a blender, and a fine mesh strainer for this recipe. Add the strawberries and water to a medium heavy bottomed sauce pan over medium high heat. Simmer the strawberries until they have some give when prodded with a silicone spatula. You don't want very cooked berries, but you don't want frozen centers either. About 5 minutes. 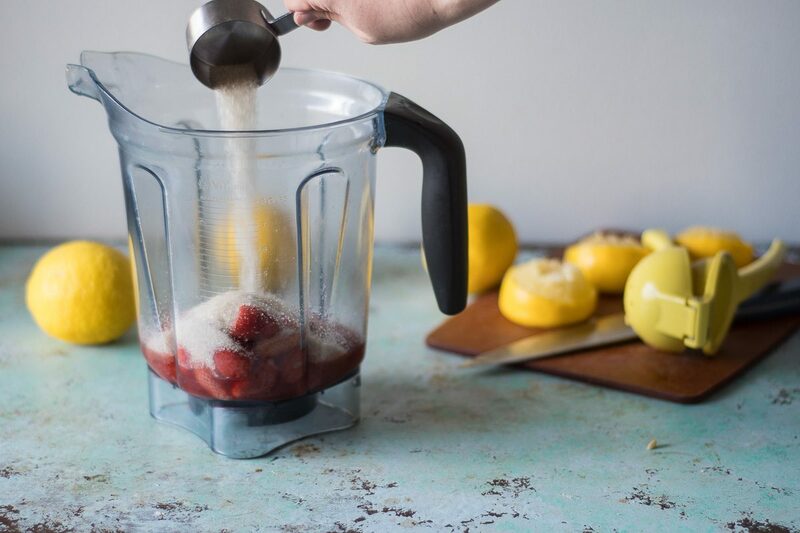 Add the strawberries to a blender. Then add the sugar, lemon zest, and lemon juice, and blend until thoroughly pureed. Then crack each egg into the blender and blend until just incorporated (just a quick zizz for these). 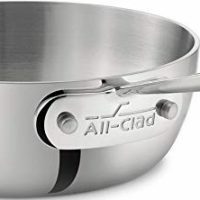 Add the mixture to your saucepan, and heat gently over medium-low heat, stirring frequently with a heat safe spatula, until the mixture reaches 170°F on an instant read thermometer. Remove from heat. Add the butter and stir gently. The mixture will be fairly runny, but don't worry, it will thicken up in the refrigerator. Pour through a fine mesh strainer set over a bowl (ideally one with a pouring spout). Transfer to jars or other airtight containers and refrigerate until set, about 2-3 hours. I am imagining this on a buttery croissant or as a topping to ice cream or…oh the list goes on! This looks so good. Patty, you’re so right! It would be delightful on a croissant! I love, love, love this! Lemon curd and strawberries are definitely a favorite of mine. I can’t believe I’ve never thought to combine the two. Pinning, because I definitely have to try this recipe! Thanks, Tracy! I can’t get enough of this combination either! 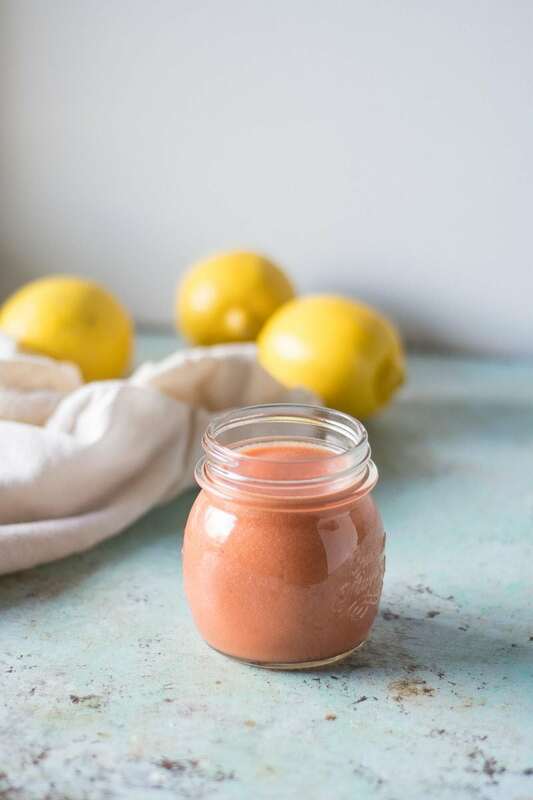 I’ve never made a strawberry lemon curd before but love the combo of strawberries and lemon together so know this would be delightful! Would love to try making this with dairy free butter for a dairy free version! This would certainly work with Earth Balance or a similar non-dairy butter substitute. You could also make it with half Earth Balance and half olive oil for the lovely olive oil flavor. Never heard of this but totally want to try it! Perfect for spring too. This looks delicious and what a perfect summer treat! I am definitely going to have to try this recipe. Thanks for sharing! Luci’s Morsels | fashion. food. frivolity. ahh this color is amazing!! i haven’t played around at all with different curds besides lemon (although i haven’t made any kind of curd in a while), but i really need to! Thanks, Heather! You should totally give it a try–I think it’s delightful to see how the curd treatment works with other flavors. Thanks, Marsha! I’m so glad you liked it! You haven’t added butter to the recipe!